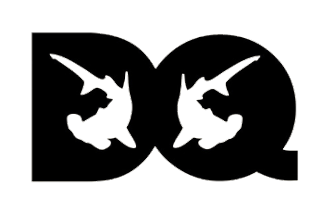 Unido Survey on Don Questo? Why the survey? Why Don Questo? 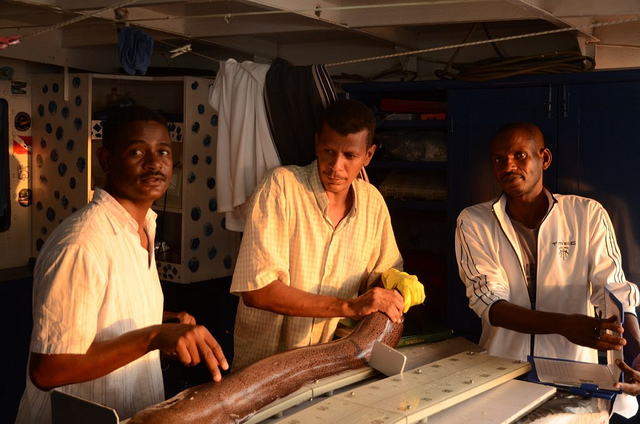 As stated by Erik Olsen, “Sudan’s 700km Red Sea Coastline is dotted with spectacular coral reefs providing food, livelihood and protection for hundreds of fish species that artisanal fishermen catch using hand-lines”. 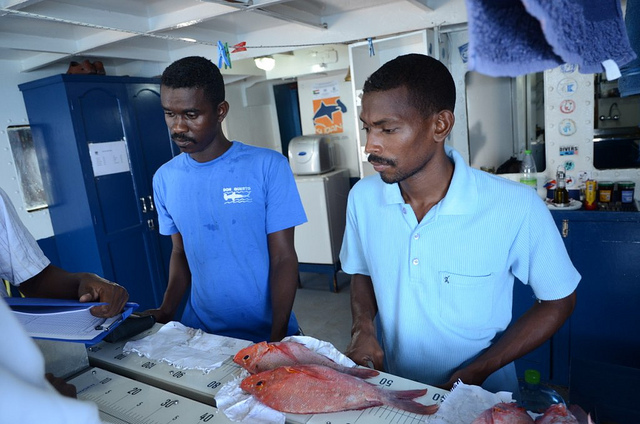 Fisheries can be improved and the yields possibly increased, but better knowledge on the distribution and density of fish is lacking and necessary. 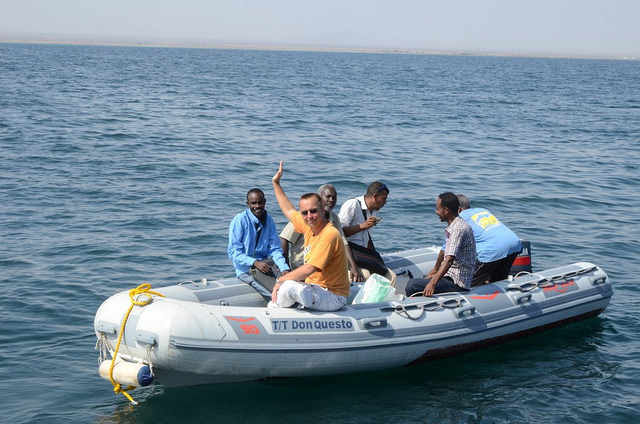 Therefore a survey to map the resource base is currently ongoing along the whole coast from the border of Eritrea to Egypt (3). 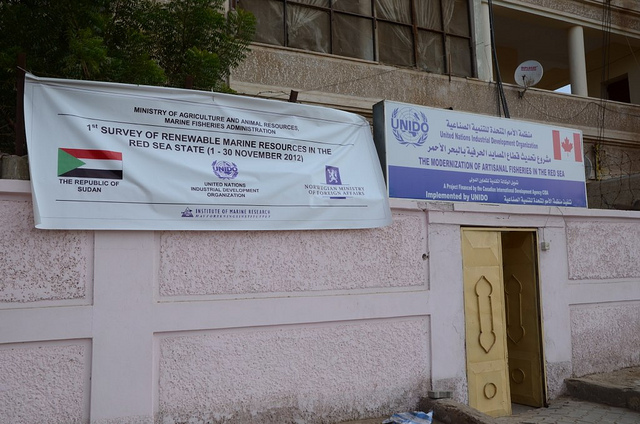 The project entitled “survey of renewable marine resources” was implemented in the Red Sea State of the Republic of the Sudan, as a joint venture between UNIDO and the Center for Development Cooperation in Fisheries at the Institute of Marine Research (CDCF/IMR) (2). 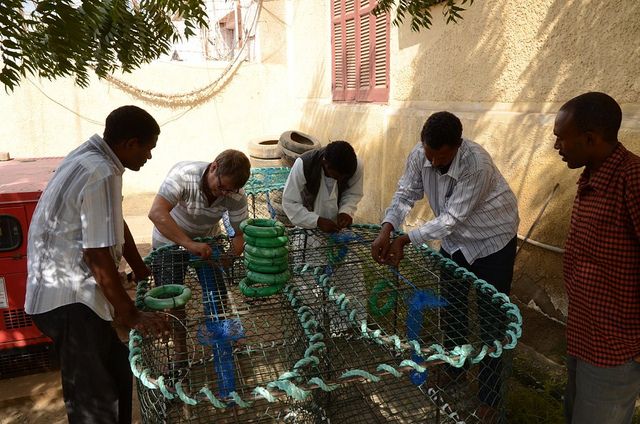 It was “carried out by The Marine Fisheries Administration and Sudanese scientists under guidance by experts from the Norwegian Institute of Marine Research” (3). The purpose of the project was to build the knowledge base of the marine fisheries sectors in order to develop a marine fisheries strategy plan in the RSS (2). 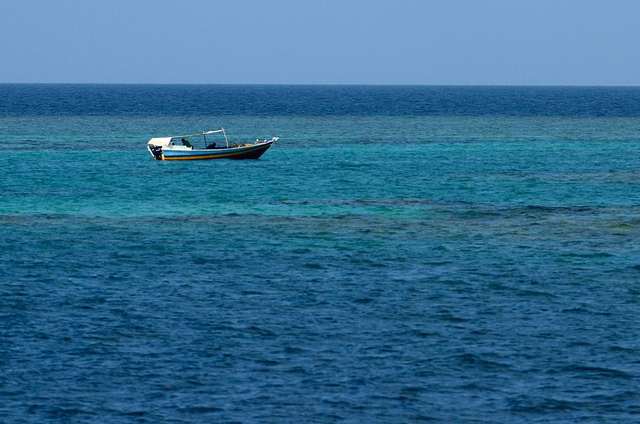 As it is pointed out in the reports, “the Sudanese Red Sea is still fortunate to have attractive and most unique marine and shore land habitats. There are coral reefs, mangroves stands, sea grass beds, and rich biodiversity including: fish and shellfish, Sharks, Dugongs, Turtles and a variety of sea birds” (2). There are some Marine protected areas (MPAs) in the Red Sea State (Sanganeb MPA,Dungonab Bay and Muakwwar Island MPAs), nevertheless marine life is rich in other areas, too. 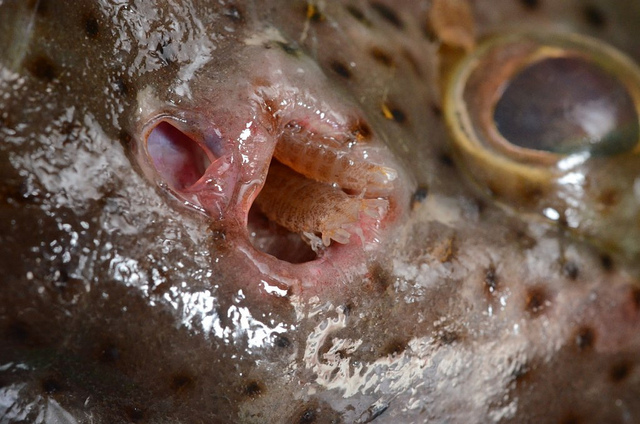 “In spite of the high biodiversity of aquatic life, the exploitation emphasis has been historically placed on harvesting wild mollusks and finfish. Both activities are largely traditional and for subsistence. 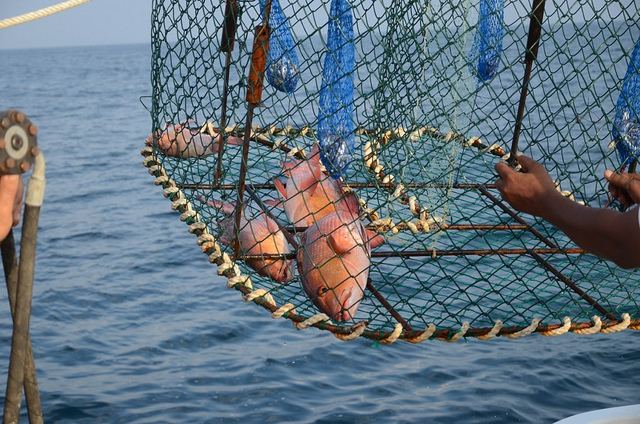 The marine fisheries sector is still under developed. Most fishing activities in the ocean are carried out by the artisanal sector using traditional gear, craft, and fishing techniques and are confined to the near shore area, targeting finfish, shrimp, mollusks and sea cucumbers. Fishing activity takes place off shore – in the coastal area – and in the lagoon bay. There are approximately 1,900 to 2,500 registered fishermen (no recent census records are available along the coastline) and the operating fishing fleet is comprised of approximately 410 units. These include dugouts (houri), wooden and steel boats (feluccas) and launches (sambouk). Fishing gear used by local artisans includes poles and lines, long line trawling, cast and gill nets, and beach seines. Investments in commercial fisheries have been limited in recent years. The small scale industry, fish trawlers and highly mechanized vessels operate on a seasonal basis, focusing on pelagic, demersal fish and shrimp resources (2). 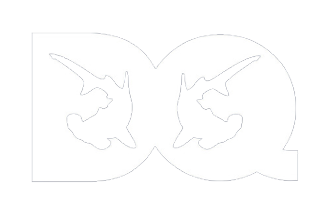 Don Questo was used as base for measurement and sampling. Additionally, “Don Questo” was used for accommodation and meals (1). 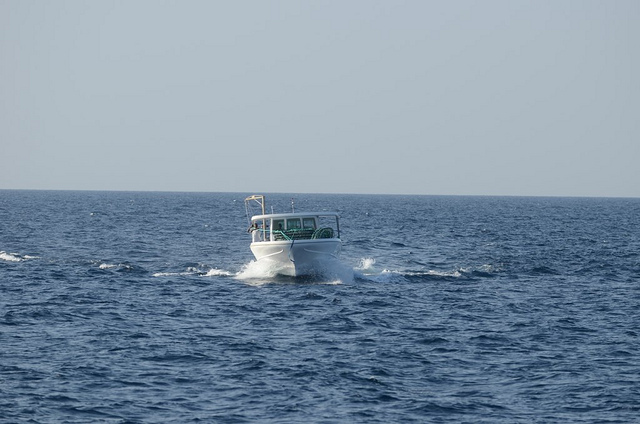 The M/S Don Questo and the MFA vessel travelled together to the southernmost predefined study area near the border with Eritrea. Travel only occurred during day. During night the Don Questo anchored in a sheltered reef area and the MFA vessel was tied to the side of the Don Questo. As reported in the official documents, the “main challenge that appeared during the feasibility study was related to the identification of suitable vessels for the trap survey and the trawling survey. The vessel for the trap survey requiring low draught, technical infrastructure (winch – crane to lift traps- hydraulic platform to lift the MFA boat), accommodation for up to 19 participants, etc., and the vessel’s skipper having experience in navigating in the southern parts of the RSS Coast (conditional requirement)” (2). 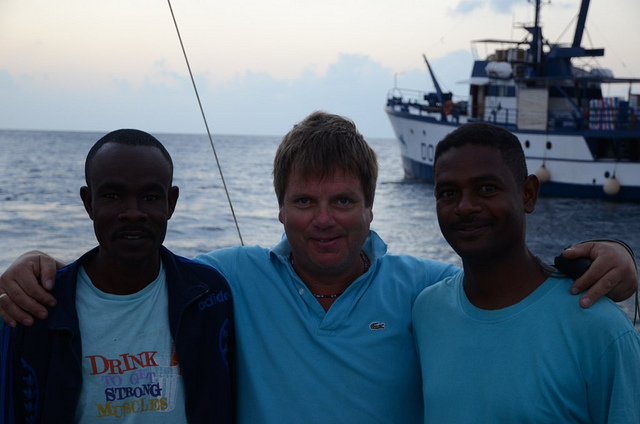 Not only was Don Questo selected; our boat was also evaluated as the “floating base camp” for the surveys. In the evaluation the choice of Don Questo was “considered as a very important element and large part of the success of the projects different offground components (surveys, capacity building, etc.). Safety, the fact that it provided a “central” platform, that it was fully equipped to provide support functions (laboratory, storage of samples), meetings, training, entry of data, etc., were all assessed as highly satisfactory. The captive audience effect facilitated capacity building and interactions and participants considered the training imparted as highly satisfactory stating that they would participate “even if no incentive were offered” (per diem) (2). 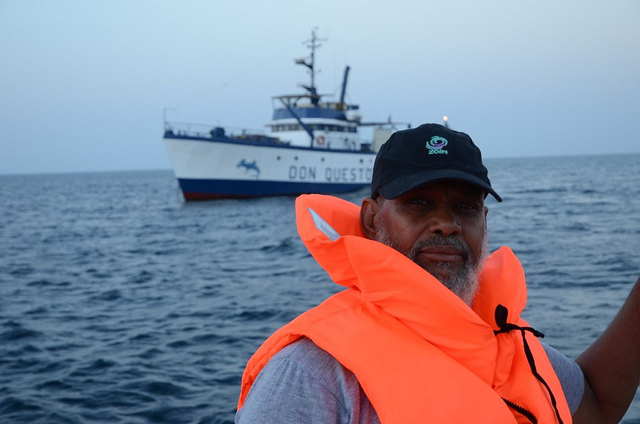 During the feasibility study, many potential suitable live aboard vessels operating out of Port Sudan were inspected but “the M/S Don Questo was identified as the only vessel corresponding to the requirement for the trap surveys and was chartered by UNIDO for the three trap surveys” (2). Center for Development Cooperation in Fisheries (CDCF) at the Institute of Marine Research (IMR). 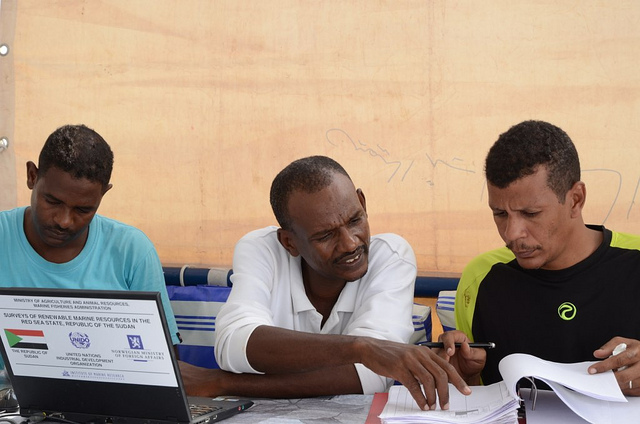 15 national counterparts from Sudanese targeted institutions (MFA – FMSF – FMRS) participated in each survey, and the crew was changed every 10 days to allow training of a higher number of national counterparts (2). 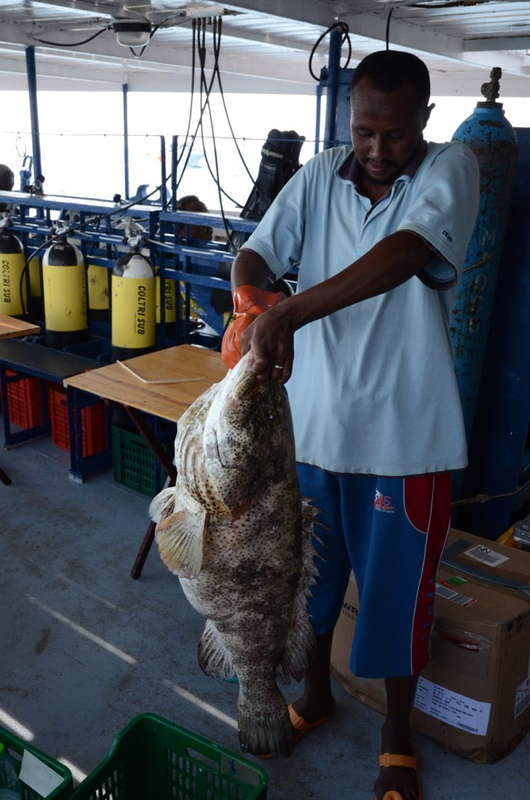 The survey was designed to operate in shallow coastal waters with fragile and vulnerable coral reefs and to be carried out with minimal environmental impact, following a predetermined track from the north to the south of the EEZ (2). The project has illustrated the ecology and complexity of the marine resources habitats. 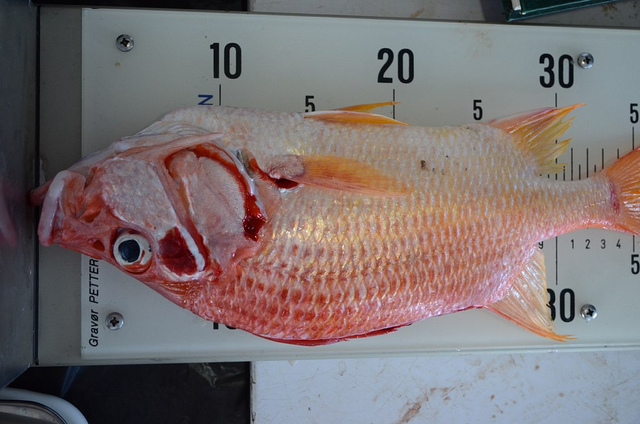 The biological research allowed for the development and understanding of marine fisheries of the EEZ and the information provided will contribute to the drawing of a road map for preparation of sustainable management guidelines and a framework strategy for fishery sector development. The conclusion is that there has been progress in the understanding of the fisheries dynamics as the result of the project (2). More pictures by Erik Olsen are available here. For further information please refer to the references, which are all publicly available documents, from which we have taken above texts and information. We thank Erik for giving us the opportunity to use his pictures in this our web site.